Our Kia dealership is proud to serve Monahans, TX. We have a wide selection of new Kia Stinger, Niro, Cadenza, Forte, Optima, Optima Hybrid, Rio, Rio 5-Door, Soul, Sorento, Sportage and new Kia Telluride models in stock now. If you are shopping for new Kia Cars or SUVs you will find much to choose from at our Kia dealership near Monahans, Texas. 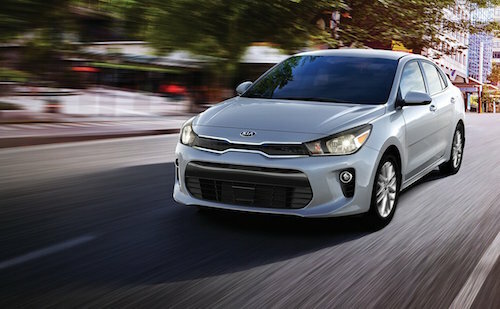 We offer Kia dealer specials and factory incentives to help you get the very best price. For Kia financing or leasing our auto finance center is here to explain the benefits of buying or leasing your next vehicle and to arrange affordable monthly car payments. If you are looking for a reliable used car we invite you to browse our inventory of Pre-owned Kias and Used Cars, trucks, vans and Pre-Owned SUVs for sale. We have something to fit every lifestyle and budget including many used cars under $20,000. Remarkable dealer discounts are also available with our used car specials. All of our used cars and trucks have been thoroughly inspected and meet our “like new” standards. For professional Kia service, repair and genuine Kia parts the Kelly Grimsley Kia service and parts center is on premesis. We offer Kia maintenance such as oil changes, tune-ups, brake inspections as well as more extensive auto repair. Kia service specials and auto parts coupons are frequently available to help you save money while we keep your Kia running perfectly. Why not stop by and visit our Kia dealers near Monahans, TX? We are on standby to answer your questions and help any way possible.